Nobody likes siblings, not even a perfect fairy tale angel like Snow White. Apparently, she’s had a sister this whole time and she never felt the need to actually tell anybody about her. Is it because this sister is totally lame and smells? Is she the black sheep of Snow White’s otherwise wonderful family? Or, even more likely, is she super awesome and Snow White doesn’t want her seven dwarf friends to realize that she’s actually the lame and smelly one? 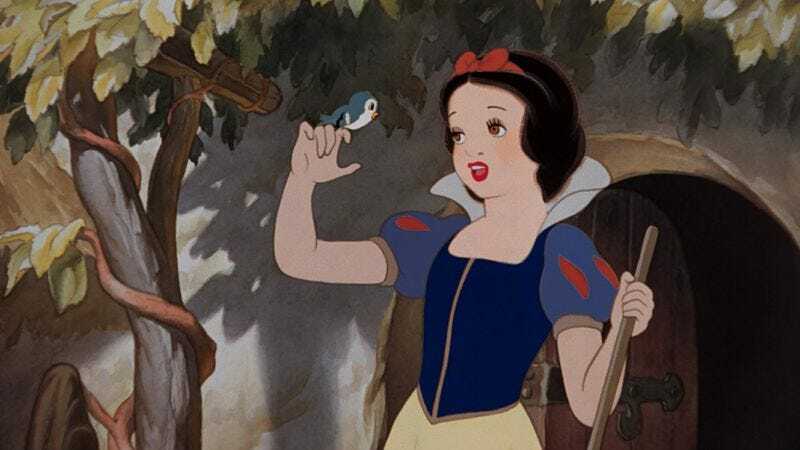 Like Snow White, the Rose Red character is lifted from an old Brothers Grimm fairy tale, but not the same one that the Seven Dwarfs story is adapted from. Confusingly, she actually originated in a story called Snow-White And Rose-Red that has nothing to do with Snow White or the seven dwarfs, so the idea of her being that Snow White’s sister is a totally new concept. Basically, it’s the sort of weird change that would drive everybody crazy if this were a comic book.